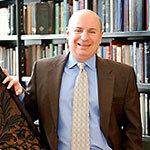 FAQ - Howard Levy is a Cincinnati tax attorney with the experience to find solutions to your IRS problems. I am a small business owner and cash flow problems have caused me to miss several employment tax payments. What do I do? Is everything I own fair game for the IRS to take in a collection case? Can bankruptcy eliminate my unpaid taxes? I just got home from work to start the weekend and found an IRS collection officer’s business card in my door. I just picked up a certified mail letter from the IRS called a Final Notice of Intent to Levy. What does this mean? And how much trouble am I in? I owe the IRS back taxes and have not heard from them in several years. Is there an end date to how long the IRS has to collect? The IRS has sent me a notice that a previous year’s tax return is under audit. I haven’t filed tax returns or paid taxes for a few years and my records are not up to date. How do I get squared away with the government?